Round up your nearest and dearest! 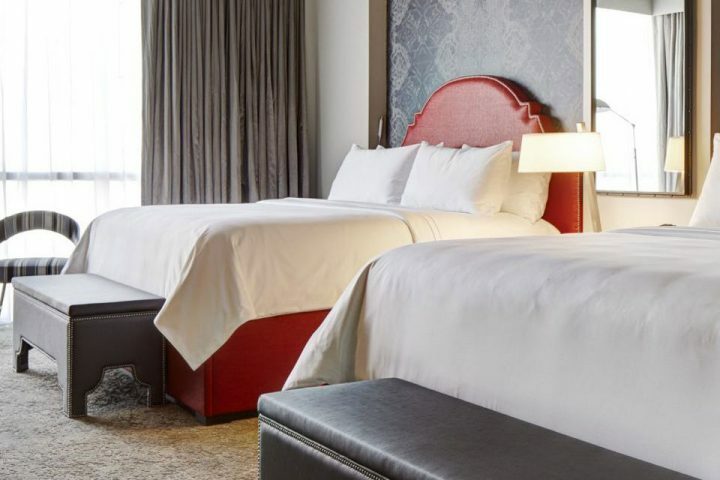 Archer Hotel Austin’s Girlfriend Getaways help you to escape the day-to-day, reconnect with your tribe and embrace controlled spontaneity. It’s a time of seismic shifts, new routines and getting established in your lives. Like oxygen, time away with girlfriends in your 30s is a life-sustaining necessity and saving grace. Raise a flag. Send a distress signal. Ink it in red on your calendars. It’s never been more important to nurture a life balance. 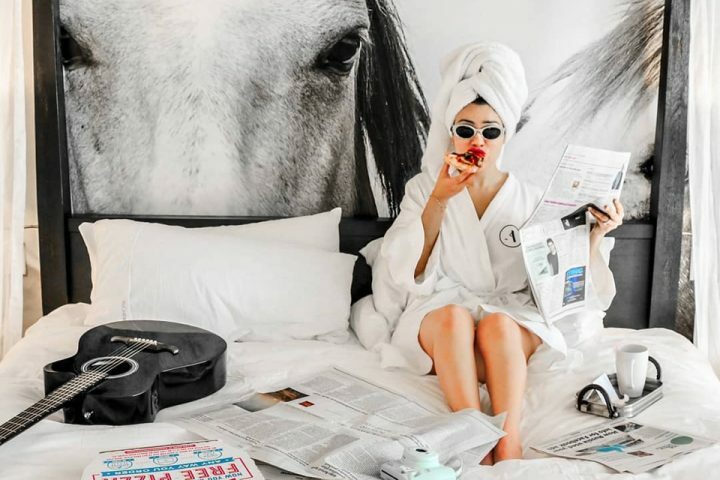 Brides, babies, big career moves — oh, my! Ladies, it’s time to carpe the diem and the noctem. Choose your adventure! Nothing like $2 mimosas and Bellinis to start the day on a celebratory note. With Northern Italian, farm-to-table breakfasts, this inviting patio restaurant is likened to tavernas in Italy known for treating customers more like friends and family. Handcrafted coffee beverages, made-to-order fruit smoothies and pastries offer a quick jump-start on a day of shopping. 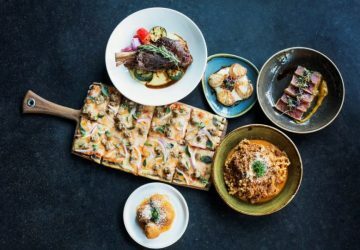 Share memories and delicious Italian tapas, savory plates and rustic pizzas in this industrial-chic restaurant. High ceilings, exposed brick and cascading Edison bulbs are a rich backdrop for chef Alonso Lopez’s locally sourced, sustainable ingredients and eclectic wine list. Select bottles of wine are half off on Wednesdays. Authentic Japanese ramen is all about rich, slow-simmered broths. JINYA’s signature stocks start with Fiji® water, whole pork bones, chicken or vegetables and just the right amount of bonito, dashi, kombu and other quality ingredients that simmer for more than 10 hours. These rich broths are perfectly balanced with handmade noodles aged to perfection over three days and a variety of traditional toppings for a flavorful, healthful, unforgettable meal. 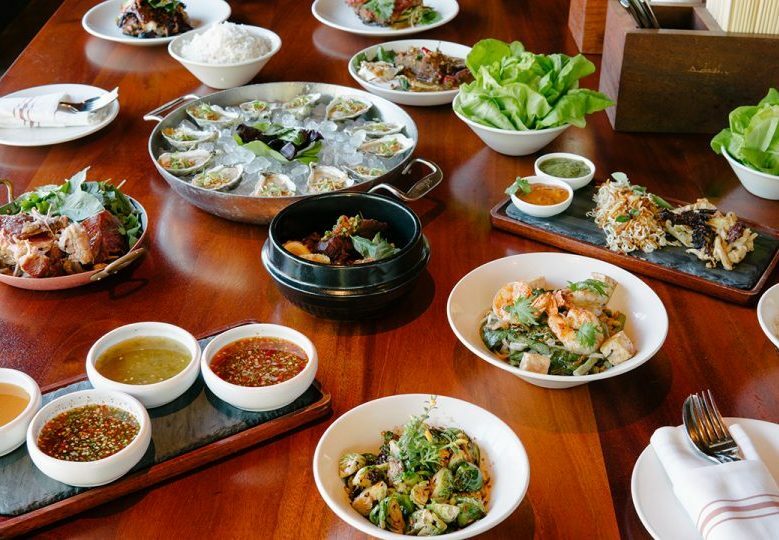 Enjoy Thai cuisine with a twist at one of the “50 Best New Restaurants in America” according to Bon Appetit Magazine. 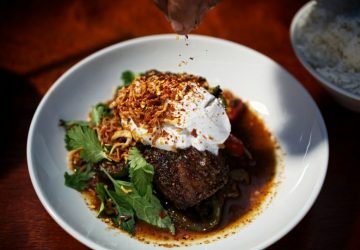 Curries, seafood and creative desserts draw fans to this hip eatery that’s been hailed as one of the most intriguing culinary selections in Austin. Its well-designed space is great for groups, with community seating and an open kitchen. Amazing shareable plates, beer, wine and sake. Whether your sweet tooth leans fruity, creamy or cookie-based, it will be easily satisfied with these creative pops. Eat yours plain or choose from a selection of toppings to dress it up a bit. A bonus: the fruity pops are vegan and dairy-free. The L.A.-based cupcake shop that started it all, this social spot offers everyday favorites and fun surprises. Traditional flavors juxtapose with chai latte, banana dark chocolate and triple cinnamon. Gluten-free and vegan options are available, as are cookies and ice cream and an unbelievable all-hours cupcake ATM. 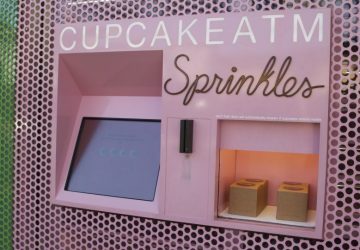 It delivers instant miniature cakes on demand and is oh, so conveniently located directly across from Archer. 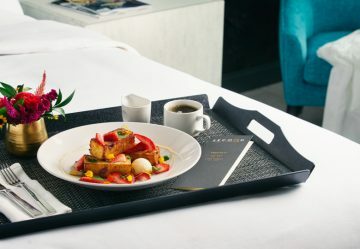 Delicious, seasonal items delivered in-room for an indulgent breakfast in bed or snacks for up-all-night-talking. Breakfast favorites include Strawberry Lavender Scones or the Hippy Hollow. For late-night snacks, try the Avocado Fundido or Congress Burger with Black Truffle Pommes Frites. Luxury retailer with an always-reliable selection of something special, fun and fashionable. Book a personal stylist (24- to 48-hour notice) for a customized shopping adventure complete with a special GIRLS group dressing area. 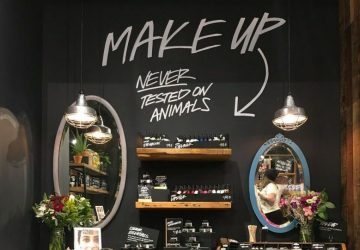 Drinks, food, mini facials and makeovers are easy adds. Your Archer decade hostess can set you up. 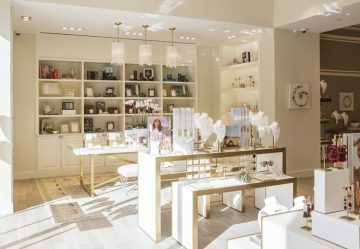 Within walking distance to the hotel, you’ll find one of the three Austin stores of local fashion-lifestyle brand Kendra Scott. Looking for a unique vacation memento? Customize your own jewelry at the signature Color Bar™, an in-store experience where personal style meets instant gratification. Treat yourself and your girlfriends to body products made from fresh organic fruit and vegetables, the finest essential oils and safe synthetics. Fill your world with perfume. 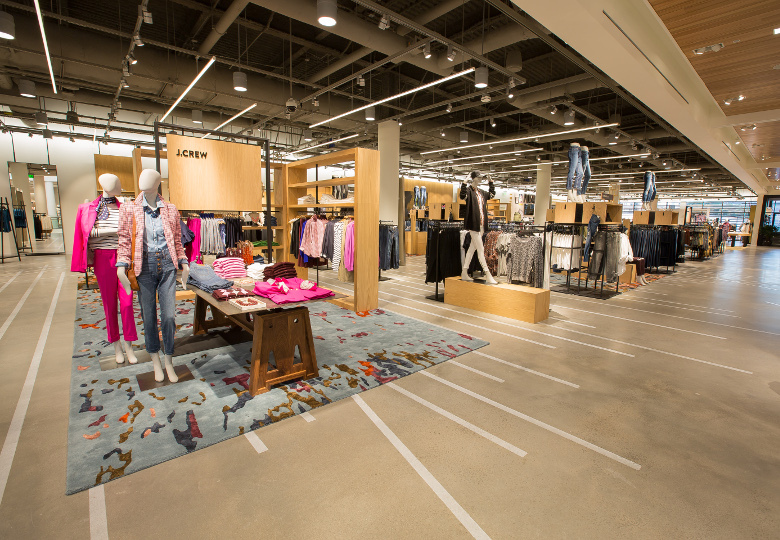 Both modern and timeless, Joie draws influence from vintage creations and global travel while maintaining a fresh approach to a casual yet sophisticated way of life. Denim-focused apparel you’ll live in, love in. Jeans that go from morning to moonlight and always wear like a charm. If you’re into soft, cozy and comfy, this is the place for you. Their signature fabric is made from recycled beechwood so it’s sustainable, and so. so. crazy. soft. Quirky urban décor, live music and lawn games make this a fab indoor-outdoor space. Food from scratch, inventive cocktails and a 3 – 6 PM weekday happy hour. The unique antipasti menu showcases delicious and hard-to-find meats, cheeses and vegetables. We like the pretzels and provolone fondue and pork belly nachos, too. Go out right. Scratch kitchen, crafted bevs and entertainment collide in a swanky-chic warehouse space. 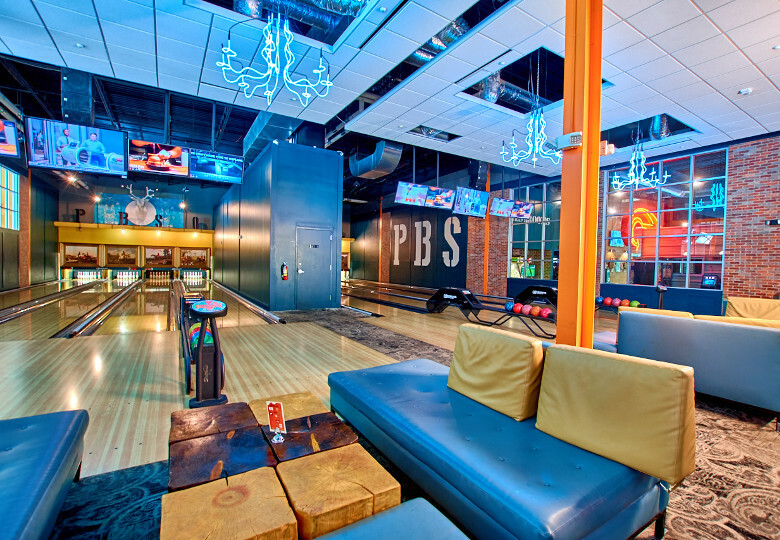 It’s dominated by bowling lanes, table games, all-you-can-sing karaoke and retro video games offered around a central bar serving communal punch and eats. Punch bowls are for sharing, or try any variety of old or new school happy hour specials. 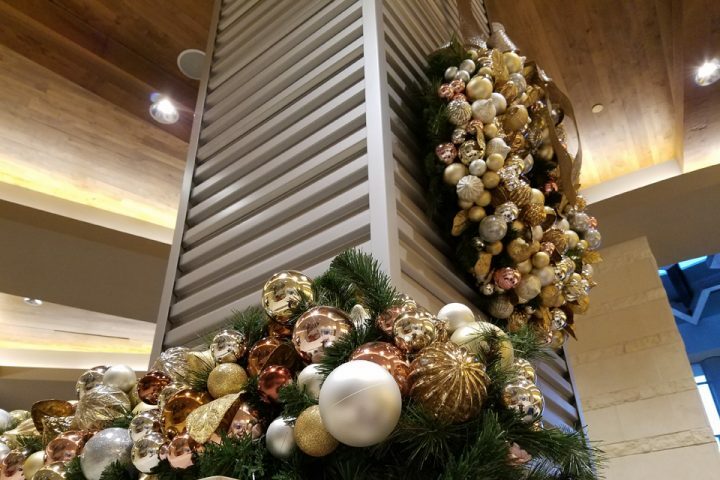 Indoor, outdoor and rooftop bars with sweeping views and touches of Southern hospitality including sweet tea vodkas poured from a frosted tap. Happy hour weekdays 4 – 7 PM. Soak up exotic sunset cocktails at this breezy rooftop patio bar. 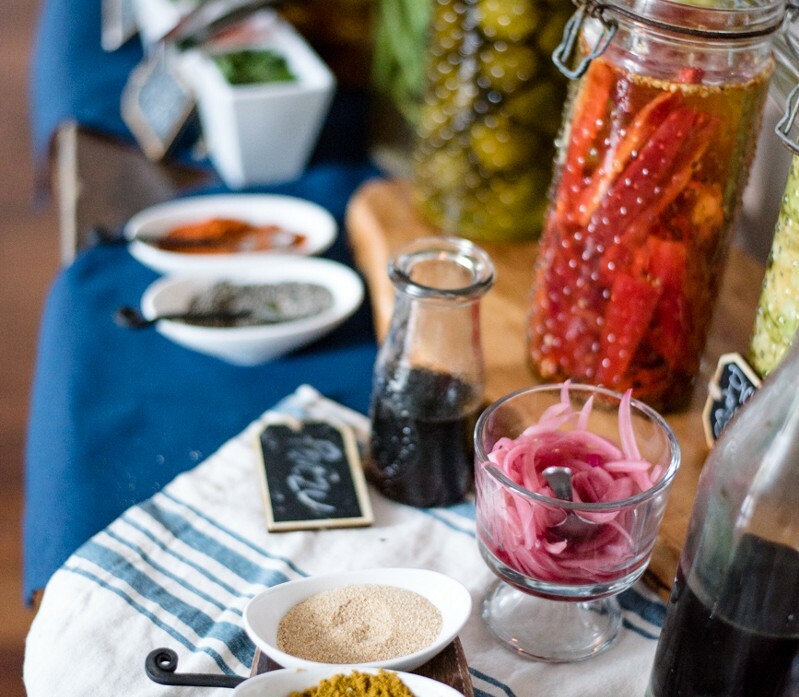 At once familiar and foreign, try tropical, palette-pleasing finger foods and tapas, plus mind-altering hookah flavors. We recommend fresh ceviche with lime juice, red onions, avocado and diced sweet plantains served with a spiced wonton chip or the chickpea lettuce wraps with ancho spice mix, lime crema, pickled onions and jalapeño. Belly dancers on mystic Wednesday nights. Happy hour Monday – Friday 3 – 7 PM. Where the Colorado River meets Barton Creek, Austin comes to play. Whatever your speed, this 350-acre epicenter of recreation is the perfect place to take in sculpture gardens, swimming holes and nature preserves. Forge forever memories while exploring trails on foot or by bike, or cool down on kayaks or paddle boards. Working-distillery tours are a great excuse to explore the Texas Hill Country. 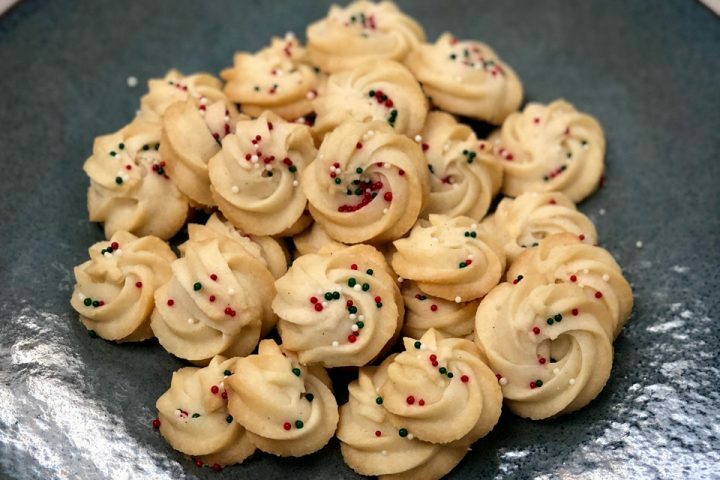 Award-winning Treaty Oak Distillery is located on scenic farmland and offers delicious bites, as well as sips and educational tours. 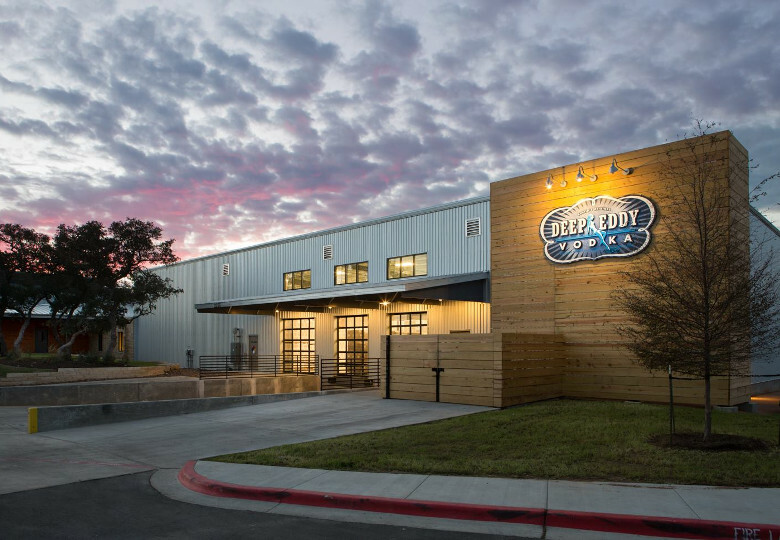 Deep Eddy Vodka Distillery isn’t far away and offers a great tasting room with food trucks on-site. Named after actress Esther Williams, this premier magic and comedy troupe is the place to find laughs and levity, including satire, sketches, music and magic. 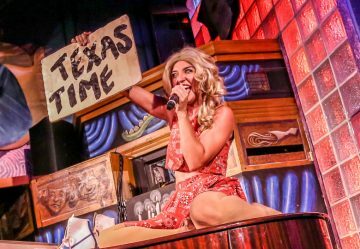 It’s Austin’s answer to SNL and your answer to letting loose your wild and winsome selves. This iconic avenue has a shotgun view of downtown Austin and hosts homespun shopping, dining, art and a constant supply of music. 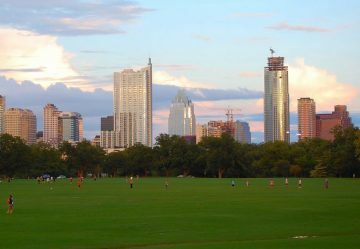 Great for strolling and discovering such places as Big Top Candy, Lucy in Disguise, South Congress Café and Magnolia Café. Worlds collide in this critically acclaimed, refashioned laundromat. Both retro and polished, the spirited neighborhood eatery’s nearly indescribable menu is gourmet, new-American fare infused with a Mediterranean influence. Great local brews and a sensible wine list are priced so affordably that multiple bottles are a no-brainer.